African black soap made with unrefined shea butter. Our black soap has no synthetic fragrances and it's not scented. African black soap is great for bathing, showering and shampooing hair. We also carry honey oatmeal soap and other herbal soaps all made with fresh natural ingredients and unrefined shea butter. 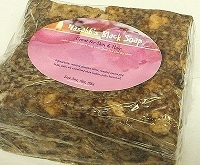 Ghana Black Soap, is nature's secret to smooth beautiful skin. 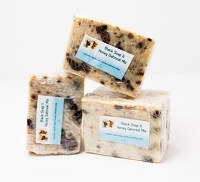 Our Black Soap is made with all natural ingredients including plantain skins & palm kernel oil. 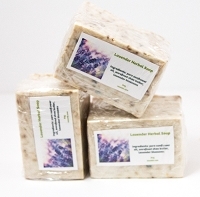 Naturally rich in vitamins A & E.
Pamper your skin with our fresh honey oatmeal soap. Helps soothes dry & itchy skin. Oatmeal gently exfoliates. Oh did we say we added shea butter? Your skin will thank you.